THOUGHTSKOTO Thoughtskoto : New 'Laglag Bala' In NAIA? 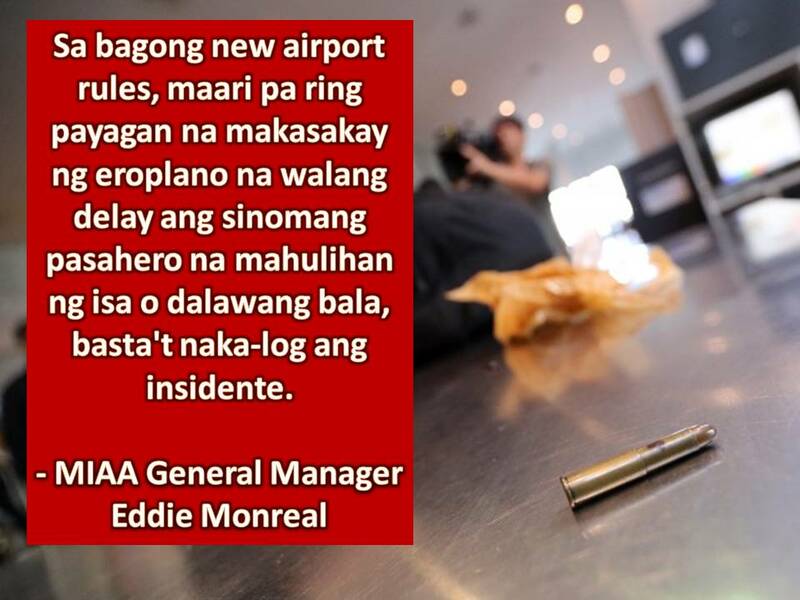 After a year of hibernating, is 'Laglag Bala' thriving a new in Ninoy Aquino International Airport? 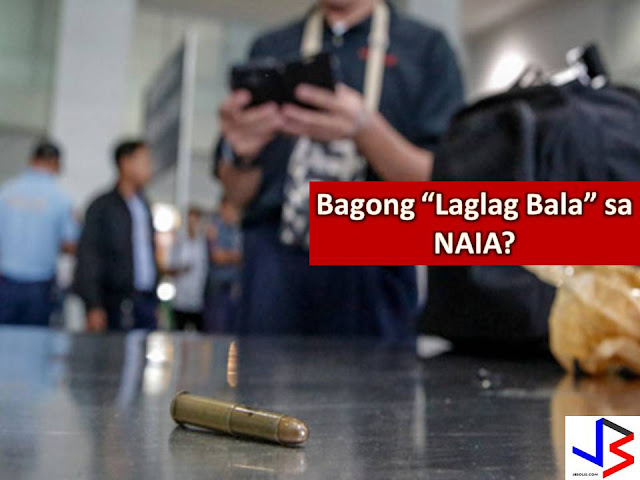 This is a question of many after a netizen post in his Facebook account regarding the alleged new victim of Laglag Bala in NAIA. 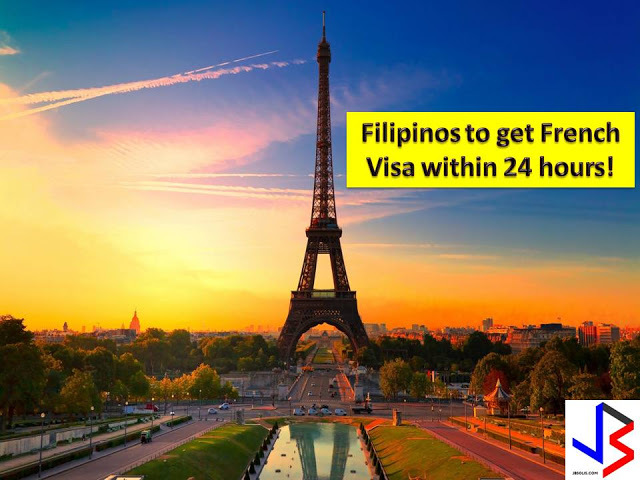 In a Facebook post of Jo Vidal, he said the latest victim was a Korean student who departs the country through Terminal 3 around 3 or 4 am. "The student is of course traumatized," Vidal wrote in her post. "The Korean community feels terrible about what happened." In a statement, the Department of Transporation (DOTr) Secretary Arthur Tugade instruct its people to act on this matter with utmost urgency. 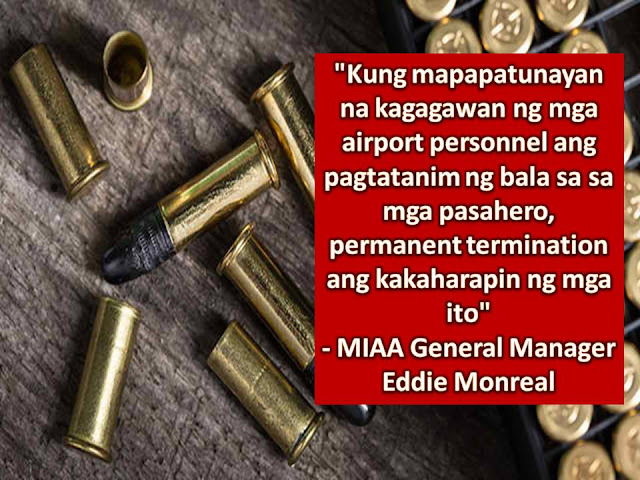 Meanwhile, MIAA General Manager Eddie Monreal warns airport personnel that they will face permanent termination if found to be responsible in "laglag bala" o planting ammunition. "If this was really the intention of airport security personnel, heads will roll," Monreal emphasized. 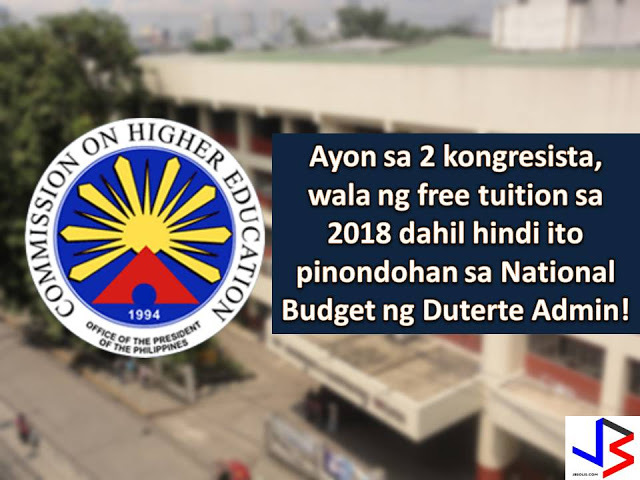 But according to the initial investigation, as of Sunday afternoon, July 31, there were no official complaints reported nor encoded into security log books. Monreal believed that the alleged victim made it through two x-ray machines and was intercepted at the final bag-check, where a bullet would be discovered inside a jacket pocket or in hand-carry luggage. He added, whether or not a bullet was found on the Korean student identified in the post, the student most likely got on her plane which took off with no delay. Based on the new airport rules, any passenger caught with one or two bullets could still catch their flight without delay as long as the incident was logged. 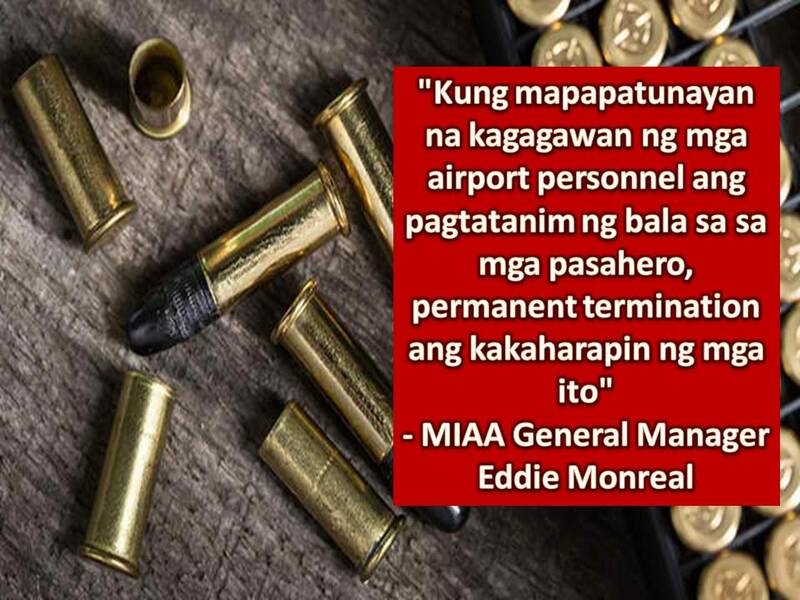 It was July last year that President Rodrigo Duterte prohibits authorities from arresting passengers for bullets in their luggage after it victimized many passengers, especially the elderly and Overseas Filipino Workers (OFW).